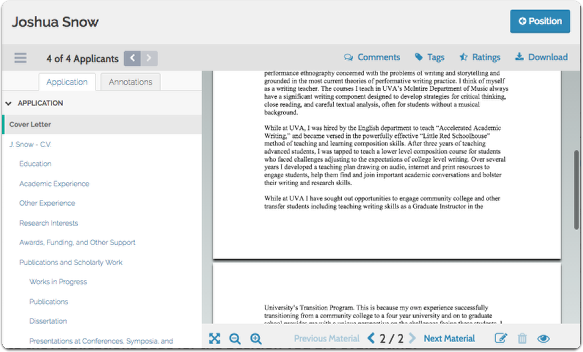 Committee members can add annotations to individual documents when viewing application materials in the viewer and can export the annotations they make in a PDF file. 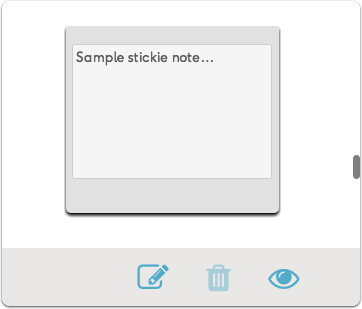 Annotations are private, personal notes about an application, similar to attaching sticky notes, or marking up a document with comments. 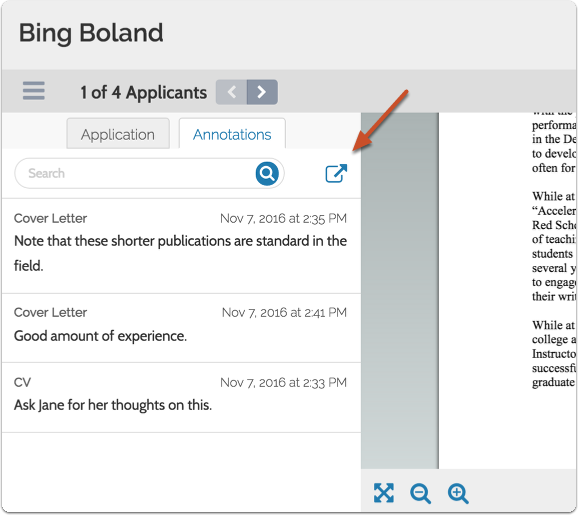 Such annotations come in handy if you are a committee member reviewing a large number of applications and need to remember your thoughts about each applicant. Unlike comments, which can be viewed by other committee members, these annotations are visible only to the evaluator who created them. 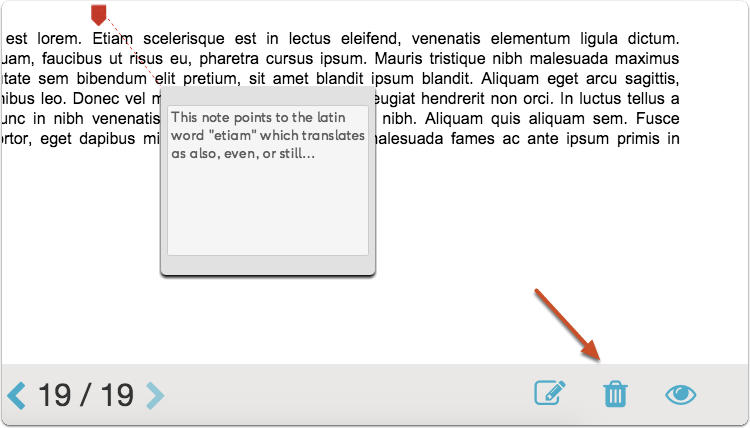 Annotations have their own tab in the viewer, making it easy to quickly view your notes. 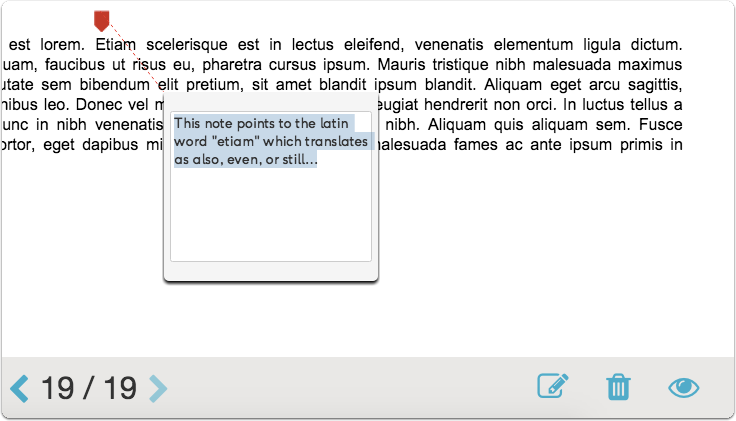 Simply export your annotations to save your notes on an application. Only in extreme cases (such as a lawsuit that demands discovery of all private documents) are annotations "discoverable." 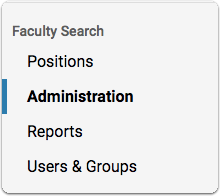 On the Applications page, check the box next to "Applicant" at the top of the table to select all applications -or- check the box next to the name of each individual applicant you want to review. 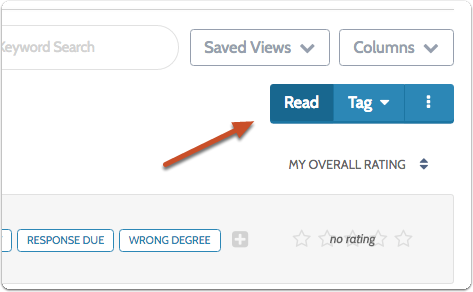 Selecting names in the list opens a new set of buttons on the page. The buttons that open here are determined by the actions your user role can perform in the program. Committee Managers and Administrators will see a few more buttons than Evaluators. Click the annotation in the list to find it on the application. 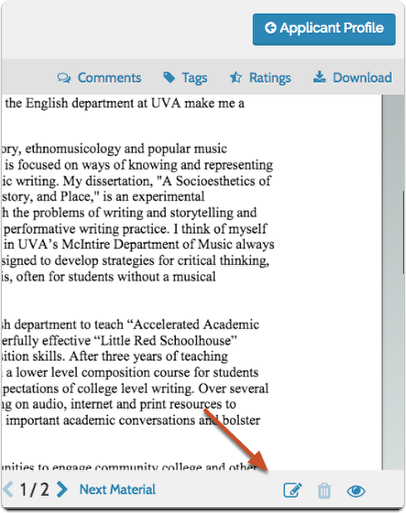 Annotations are exported to a PDF file that you can save, download and print. 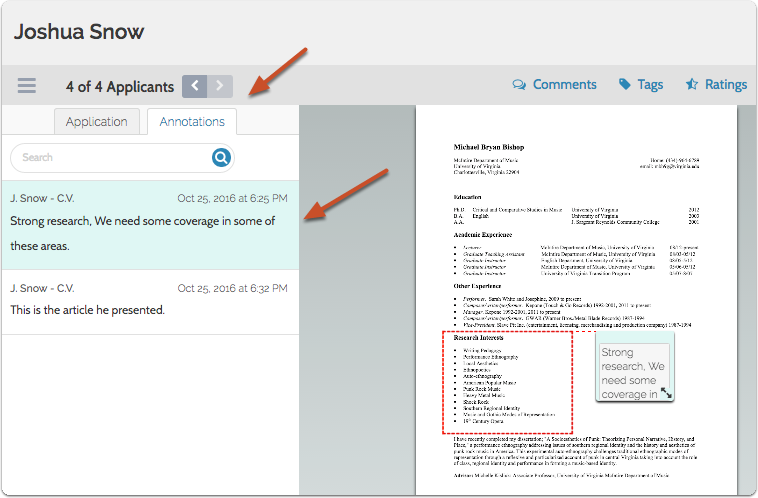 Annotations are private, personal notes about an application, and are only viewable by the committee member who added the note. Click into the document and add your note where you want it to appear. 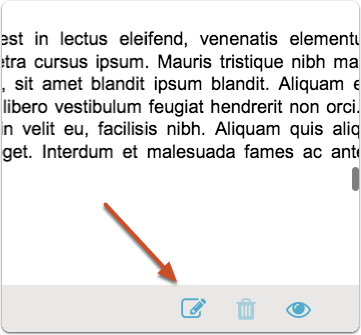 Select "Point," and add a note wth an arrow in the document. You can drag and drop to change the location of the arrow or note. 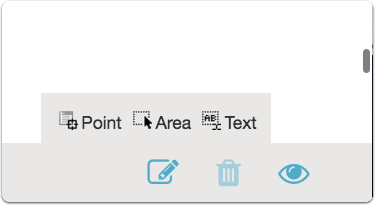 Click "Area," and draw to select an area in the document to annotate. 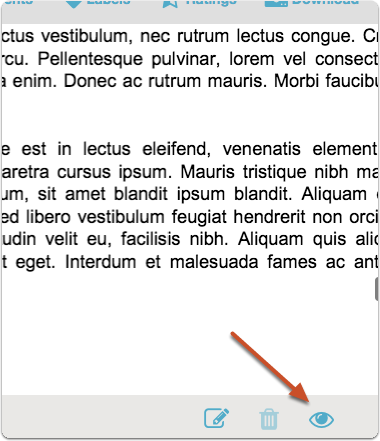 Click "Text" and select text in the document to highlight. Note that you can choose between orange or yellow highlighting.